To ensure compliance with building and DDA regulations all doors (specifically those in public buildings) have to fall within certain criteria in regards to opening forces. As doors become larger and heavier achieving the opening forces can be a specifiers nightmare. In most cases the only way to satisfy the requirements is to install door automation. To this end energ.b. 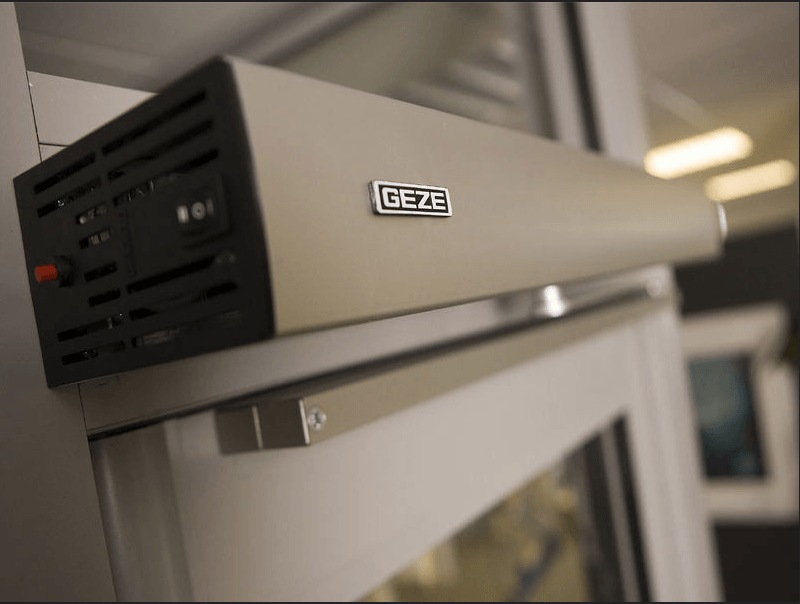 are Geze approved installers registered with the ADSA (automatic door suppliers association) and our engineers are trained and qualified to BSEN16005 standard. Since 2010 the Government have dramatically increased their expenditure on assisted living through the grant system, allowing more elderly and vulnerable people the opportunity to stay in their own homes. To enable this to happen technologies that facilitate living in safety and comfort have been developed. One of the main factors is accessing your home and is why energ.b. have developed a composite entrance door (meeting all thermal requirements) that is fitted with an AV2E electronic multi point lock (meeting secure by design requirements) and is controlled via a Geze EMD-F low energy automatic door opener (to BSEN16005). To view the access control services we provide have a look at our Access Control page.